Ride sharing is demanding to you and your vehicle. When a passenger requests a ride from you, Uber and Lyft drivers, they expect to get to their destination safely and securely in a well-functioning and maintained vehicle. Toyota of Tampa Bay understands that and is here to help. To show our appreciation, we’re offering $10 off oil changes for Uber & Lyft drivers. Your passengers depend on you. 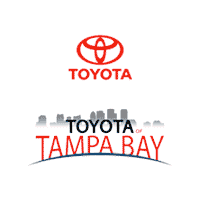 Now you can depend on Toyota of Tampa Bay. Service is a flat $10 off oil change regardless of the oil type. See dealer for details. Proof of employment by Uber or Lyft is needed in order to receive the discount at the time of service. Offer is only valid at time of service. Offer expires 12/31/18. Or give our Service Department a call at (813) 402­-1342 to schedule!